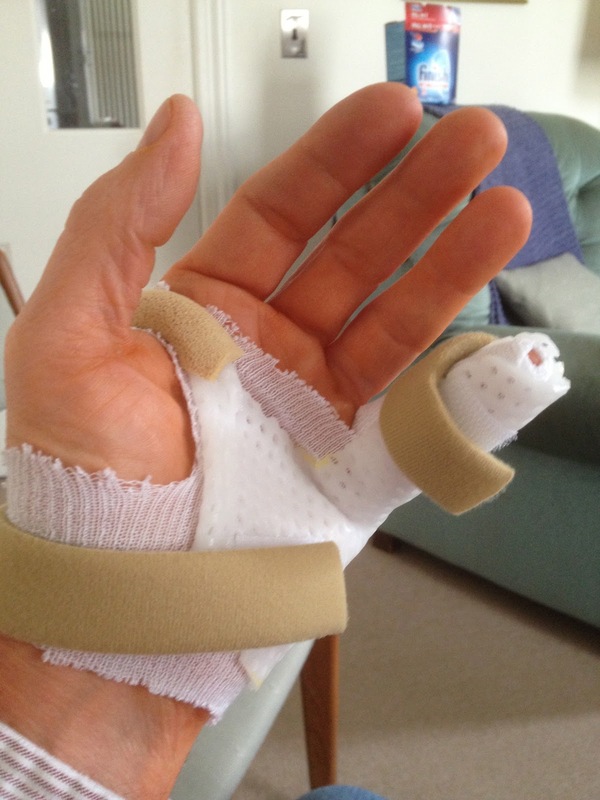 Had my big dressing and splint removed today from my left hand. The finger looked good. I was feeling psyched. Then the doctor said he cut my tendon (on purpose) to do the repair, so I have to wear a splint for two more weeks. Dang. I'll put up a picture at the end. Dang. But it's gonna be okay. This to shall pass. I heard from Bob in Virginia this morning, who wished me well with my "new blog filler". I wonder if he was laughing, or serious? He a career airman. I am sure he was serious. Thanks Bob... FLASH!! Oh, what a pass! Five to go, and it's 71-38, UConn. ....if you know Jenny or Fred, please don't show this blog to them. They are so smart about grammar and such...they'll let me have it both barrels for sure! :) Final Score...77-44 UConn goes to The Sweet 16! What a surprise! Go Geno go. Tomorrow will be a long day. Orders are coming in, and I'm on by myself till 2. One thing at a time Rick. One thing at a time. We'll be talkin' to ya.